Looking to improve your overall fitness level for a more successful riding experience? 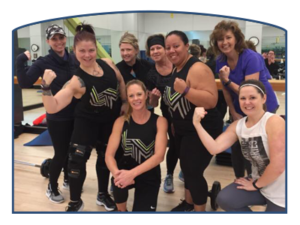 This small group training program with PWC personal trainer and equestrian Amy Biddle will set you up for success in the saddle. Functional cross training will incorporate yoga, weights, and cardio fitness for balance, strength, endurance and flexibility. About trainer Amy Biddle: Amy brings her own lifelong enthusiasm for horses, success as an equestrian, and expertise as a personal trainer to this program. Certified as a trainer by the National Council on Strength and Fitness, she is also certified by Yoga Alliance to teach yoga. Amy competed several horses in dressage, winning multiple year end series and awards. Physical fitness and strength training have had a positive effect on her own riding and she is excited to share these benefits with other equestrians. If you have questions or would like to register, please contact PWC fitness manager Patrice Barklund at pbarklund@culpeperwellness.org or 540-445-5395. 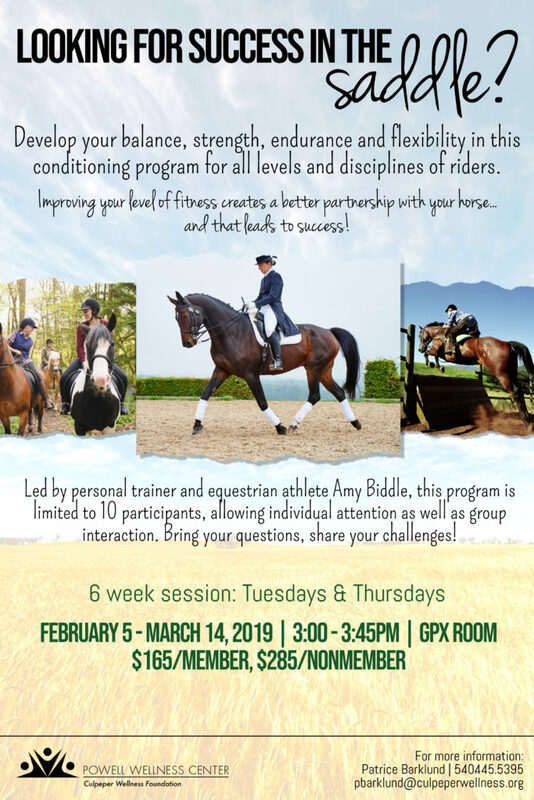 Do you know an equestrian who might enjoy this program? Feel free to share this information!